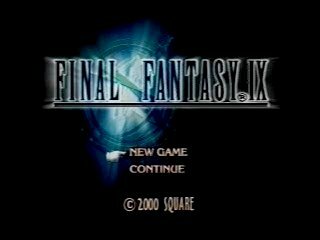 Released in July 2000 in Japan and November 2000 in North America, Final Fantasy IX was the last Final Fantasy for the PS1. It brought back many classic elements of the Final Fantasy series, such as crystals, castles, and character classes, and is also notable for having references to every previous Final Fantasy game. The story starts out with kidnapping a princess, but, as is typical, turns into a quest to save the world. Best time: 8:03:07 by 'Reverv' on 2015-07-29. Best time: Single-segment 9:05:45 by Tristan 'Caracarn' Helwig on 2013-02-06. 8:03:07 by 'Reverv', done in 61 segments. Let's get this out of the way now, as there are a few people I need to thank for the run. - First and foremost, a huge thank you to Essentiafour. Every time I felt the urge to start up a game of FFIX I would usually decide to go for the Excalibur 2, and I would use Essentia's run as a guideline as it was the only in depth play through that doesn't skip FMVs and is easy to follow. This past summer was no exception, but somewhere around Disc 2 I realized I could keep up with her run pretty well, and maybe even save some time here or there. She made a comment on one of her segments on youtube saying that she found some improvements but would only play this again if someone beat her time by a lot. I have spoken to her since and she has rescinded that comment (I absolutely don't blame her, I will most likely never try to best anyone who beats this in the future), but the fact remained that this 8 year old record had remained untouched, and it called to me. The vast majority of this route and the RTA route came from Essentia's run, so I owe almost all of the strategy to her. - Puwexil, SpikeVegeta, and Lil_Gecko for their respective runs. Puwexil and SpikeVegeta's run at AGDQ 2013 was the absolute best commentary on a single segment run in all of FFIX runs. I learned quite a few little tricks and strategy tweaks from watching their RTA and listening to them talk about it. Lil_Gecko's TAS run of the game is a thing of beauty as well, providing me with quite a few time saves mostly coming from how best to run around in the game. Tighter movements saved the most time of anything in this run, and his TAS run showed some of the best routes to take to save half a second here and there, and that really adds up over 8 hours of gameplay. - Antilles58 for providing me with a few pointers here and there, several words of encouragement, giving me someone to bounce a few ideas off of, and providing countless hours of entertainment while I sat at my computer resetting my game over and over and over. - Stickyman05 for encouraging me to actually do this run, helping me get my stream set up even though I abandoned it, and for not letting me quit when it got boring. Also he's just a generally cool dude. Jack helped too, but more sarcastically, so props but not as much, you munt roast. Besides customizing the settings (Movement to Run so I dont have to hold circle when I move with the D-Pad, Battle Speed to Fast and Field Message to Fast), Segment 01 only has two complicated parts; stealing the Mage Masher and the Puck Skip. For a good Mage Masher steal I wanted Cinna to be the one to steal while everyone else kills themselves. The first fight ends when enough damage is dealt to Baku or everyone is dead, and it is faster to die. Cinna steals because he is the only one in the beginning who cannot kill himself in one hit. In a perfect world, everyone's ATB would start high, Cinna would steal on the first turn, and Baku would kill Cinna in one hit, but getting the Mage Masher is rare enough for me to not ask for better than this fight. Baku has three moves with the best names in the game: "Get Some! ", "Gwahaha! ", and "Oww! ", "Oww!" is when he falls down and deals no damage, so as long as he Gwahahas or Gives Some, Cinna will usually die in one hit. Normally when Vivi starts running through Alexandria with his fake ticket, Puck runs in to him and knocks him over, causing a small dialogue between the two. But if you talk to the man standing on the side at the right time the game will load his dialogue instead of Puck's which is much shorter, so you can save about 5 seconds. Oddly enough, if you do manage the Puck Skip you can still go back to that alleyway and he will run in to you all over again, even though he is standing on top of the steeple. Brutal segment, but the luck I had was incredible. King Leo only got off 1 attack which wasn't an SFX, Cinna did enough damage that I didn't need to take 6 turns to end the battle, and the sword fight was perfect, meaning 10,000 gil. Steiner always attacks first in the first battle with him, and because of that the only luck needed is to steal the Silk Shirt on the first attempt which saves time and money by not having to buy it later. The second Steiner battle couldn't have gone better. To end the fight all you need is to kill everyone except Garnet, and Garnet's attack animation is ever so slightly faster than Vivi's, so she does the honors of knocking him out. If either of the Knights of Pluto attack before your characters, time is wasted. I actually messed up the third Steiner fight; Steiner always acts first and ideally the bomb would use Grow right after. By attacking myself (twice) to avoid extra dialogue I ended up pushing the first of the Bomb's Grows by about 3 seconds. The rest of the segment is staying awake through FMVs and remembering to power through text and name Vivi and Steiner properly. The first Prison Cage fight is rather simple; one attack and one Free Energy with Zidane (who will always get the first turn due to his speed) and one hit from Steiner is enough to end the battle. The second battle is similar except it takes 4 total attacks to end it. The goal in this segment is to fill Zidane's Trance bar as much as possible and he can take up to four hits to help that along. In this segment, Prison Cage did next to nothing to fill the Trance bar and Baku fell down once in his fight, so I thought about retrying this segment if Black Waltz 1 proved to be too difficult. I was never able to get a better time with a more filled bar however, so I was happy enough with this. This is the shortest segment in the run, but certainly not the easiest. It took about 40 resets to get through the three screens of the Evil Forest without a random battle, which is why it wouldn't be feasible to combine this segment with the one before or after. Plant Brain has two phases, and the first one ends when you deal 513 damage or Zidane dies, so we go the faster route. Once Blank arrives the battle ends quickly, although I wish Steiner had a better ATB to prevent Plant Brain from getting off an attack. The forced Plant Spider battle can either be very fast or very slow depending on Vivi's ATB, and thankfully only one Spider had a faster ATB than Vivi (and he was kind enough to use Tentacle instead of Thunder, which saves time). You cannot get in to battle or save when the chyron showing the name of a new place is on screen so I can take my time getting to the entrance of the Ice Cavern before saving. The streams of mist will force an encounter if you run in to them, so while the path I take around the Ice Cavern may seem odd at times, it is faster than waiting for the mist to dissipate. The save for this segment actually takes over a minute of game clock, but since the next segment takes a very specific set of circumstances to complete quickly, I save anyways to preserve some of my sanity. This segment is one of the most difficult to get through because of everything that needs to go perfectly. The fight is very scripted in that the damage is predictable (Sealion always does either 32 or 36 damage with Blizzard and 27 or 30 damage with Wing - Black Waltz always does 16 or 18 damage with his magic), the only thing that can differ is Zidane's starting ATB. Sealion will always go first but if Zidane has a higher ATB than Black Waltz 1 he will get an extra turn in the battle to use. In a perfect world, Zidane needs 8 turns before going in to Trance (Steal > Potion > Hit 1 > Potion > Hit 2 > Potion > Hit 3 which will kill the Black Waltz > Potion) but that relies on two factors; stealing the Mythril Dagger on the first attempt which is a 25% chance, and the attacks Black Waltz and Sealion fill up his Trance bar in exactly 14 or 15 hits depending on Zidane's ATB. While it is possible to Trance too soon, the majority of the times this battle is attempted I had to wait around for Sealion to finish the job, which is why a higher starting Trance bar from Segment 03 comes in handy. If it wasn't enough to get the Mythril Dagger and Trance bar perfectly, Zidane still needs to kill the Sealion. He has a gem on his chest that changes colors depending on his remaining health, and that is what determines his move sets. If the gem turns yellow he starts casting Blizzara which will deal about 80 damage; this happens after he takes about 150 damage. If the gem turns red he will cast Tsunami, which will deal about 88 damage and heal the Sealion for a good amount. This will happen when he takes around 300 damage. He has exactly 472 HP, so he can be killed with one Tranced hit from Zidane which is 150% of his normal attack (124-138 damage) and one Tidal Flame... most of the time. Tidal Flame will hit for either 341, 363, or 374 damage. If his first attack deals 124 damage and Tidal Flame deals 341, it's Game Over. Even after all this, I still need to go through two screens with a very high encounter rate. I was so happy to finally get all of the stars to line up in this segment that I forgot there was another screen before the end of the Ice Cavern, so I paused a bit before moving again. The two kids running around town are the biggest nuisance in the segment, but once you see their patterns a few times it gets easier to avoid them. Before talking to Vivi to progress the plot you have to enter three areas in Dali, but for whatever reason you can enter the bar twice instead of going in to the windmill. The Mage Masher and Feather Hats in the weapon store will be used in Lindblum for synthesis, and the Iron Sword will make the next two fights much easier. This is the longest segment in the entire run by far with three sections of note. First is the Black Waltz 2 fight, which is a bit more chaotic than Black Waltz 1. He will never target Dagger and usually picks on one person at a time. While not mandatory, I wanted Steiner to survive the fight for the 5 AP so he will be more likely to learn Bird Killer by the time we get to Ark. If Black Waltz 2 goes after Steiner or Vivi more than Zidane, the fight is pretty simple to keep up with. Black Waltz 3 is much more scripted since everyone starts with 0 ATB and everyone has a set speed, include Black Waltz. When he is hit with a physical attack, his next attack queued up will change to him lifting off, so I abuse this by having Zidane hit him right away. Black Waltz always uses Thundara on everyone for his next turn which is surprisingly survivable, and he can be killed with two Fire Swords and 3 casts of Fire from Vivi. Zidane needs to steal one Steepled Hat from either Black Waltz 2 or 3, and in an ideal world he will steal it from Black Waltz 2 and the Linen Cuirass from Black Waltz 3, but not getting the Cuirass isn't an issue since it is only used for a slight defense boost and not its abilities. After a lot of FMVs and dialogue we get to the Festival of the Hunt. I wanted Freya to win for the Coral Ring and because it can be done 11 minutes faster than a Zidane or Vivi win. The Mu is the first available encounter, and a high starting ATB for Zidane can save almost 20 seconds over a 0 for starting ATB thanks to this games incredibly slow battle speed. There is no guarantee as to how many Potions are needed for the rest of the run; it can be anywhere from 5 to 15, and there aren't a lot of guaranteed drops remaining from scripted battles, so buying them now reduces some of the randomness later. The run will require about 20 phoenix downs by the time Steiner does his final hit on Necron, so you either need to buy a handful of them now or in Pandamonium, but they have a much higher drop rate than Potions, so 11 now will suffice. Quina gets picked up because s/he will prove to be the most useful character for the next several bosses. The frogs in the marsh have a set starting position but a random pattern for their movements once Zidane enters the screen. It can be faster to wait for the frog to come to you instead of crossing the bridge to pick him up, but it is random. After Quina joins, it's a long jog halfway to Chocobo's Forest before saving. The further you get the better because it will save sanity when trying to do the next segment in one go instead of splitting it up. Choco will come in handy a couple times in this run; saving probably a minute or so by riding him to far off destinations instead of stutter-walking on the world map. With Choco at the ready the next step is to pick up Limit Glove; one of Quina's Blue Magic spells that will deal 9999 damage when s/he has 1 HP. This spell is learned from a Mandragora, a rare and powerful enemy found in the forest near Chocobo's Forest. Their ability "Chestnut" deals damage equal to the difference between their current health and max HP and being at such low levels, this can kill any character at any time if you aren't lucky. I let Vivi and Quina die before the fight ends because they do not need to level at all for this run. Zidane can kill a Black Mage Type A in one hit thanks to the Coral Ring's Man Eater ability so there is no point in having Freya attack. Once again, Vivi and Quina don't need to level in this run; I leave them both dead so Zidane and Freya can get more experience. You need to talk to the female moogle once before they will give you Gizamaluke's bell, so might as well do it now. The real difficulty in this segment comes from getting through the area without encounters which is harder than you might think. Now we get to see the true power of the Limit Glove ability. Phoenix Downs in this game revive a character with anywhere from 1-10 HP, and since we need exactly 1 HP for Quina that greatly increased the number of resets I needed to get a solid segment. On top of reviving with 1 HP, I needed Quina to have a very fast starting ATB to get his/her turn in ahead of Gizamaluke. Once that all came together, the fight becomes trivial and the button mashing to skip text begins. I equipped Zidane with the Dagger because he doesn't need a good weapon in the fight and it will save me some time on Disc 3/4 when I get to some areas I have to take a random encounter and need to Flee. I should have practiced my walk towards Burmecia more; I wasn't lined up perfectly and cost myself a second or two in the next segment, but it wasn't worth it to redo the whole segment. After re-equipping The Ogre to once again kill the Black Mages in one hit, the battle becomes nearly identical to the one in Gizamaluke's Grotto. An entirely optimal fight would have Zidane attacking first, the living Black Mage using "Strike" on Vivi or Quina who once again die to give away the experience, then Zidane ending it. While I was able to have that happen once or twice, I kept this segment because Burmecia is one of the toughest areas in the game to get through without an encounter. I lost 1 second on this run compared to the previous world record because of my bad starting position on the world map and having to re-equip The Ogre, which will pay off with 5 or so seconds saved in the long run. Much like Gizamaluke, Beatrix goes down after reviving Quina to 1 HP with a Phoenix Down. Beatrix's mechanics are slightly different though; since she doesn't actually die you can continue to act even after dealing enough damage to end the battle. This is helpful because it gave me an extra chance to steal the Chain Plate after Limit Glove did the job. Equipping Dagger with the Multina Racket (her first and last equipment change of the run) and moving her to the front row causes her to be a bit of a powerhouse at this point in the game, just barely being outclassed by Steiner. Had I been able to get off two attacks on Black Waltz 3 before his first turn I could have saved a few seconds by avoiding his last attack. On the contrary however, his last attack healed Steiner for me which saved some time two segments from now not having to heal him for the Ralvurahva fight. Anyone who leaves your party for a period of time gets healed fully, but Steiner is never out of our control so he maintains his health from this fight, so the whole thing balanced out evenly. The Power Belt is one of the most useful accessories in the game so getting early access to one for the price of 500 gil and 20 seconds of ATE watching is certainly worth it. Afterwords I hit the weapon shop to buy a new sword for Steiner, some accessory upgrade, and a few purchases to be used later for synthesis. Besides that, walking through Treno smoothly is shockingly difficult and can cost a lot of time if done improperly. Flipping the switch on the left side of Gargan Roo before saving, while stressful due to the high encounter rate, saves a lot of resets on the next segment which will take hundreds as is. A good Ralvurahva fight calls for everyone to get their turn before he does and for Steiner to survive as long as possible because he deals most of the damage. The only downside of this run was Steiner missing his counterattack, but it was just 3-4 seconds lost. Getting through Cleyra's Trunk without encounters is a very difficult task, but I still wanted to combine this segment with the next since the majority of the trouble comes from the bottom half of the trunk. Picking up the Magician's Shoes to boost Vivi's Ice damage for the rest of the run and flipping the switch to fill the base with sand are all that stand between the overworld and Cleyra. Near the top, Zidane can get sucked in to the three quicksand traps, and the third one closest to the exit is unavoidable. With luck, he will jump out on the left side of the trap that leads to Cleyra on the first try, so that's what I do. Once inside I grab the Thunder Gloves and the first of three Gysahl Greens I will get in the run before saving at the Inn. I did make a pretty big mistake however... I forgot to pick up the Yellow Scarf on the way out of the Cathedral. I need the Man Eater ability on Freya coming up, but the Millionaire ability that Quina's dead body has been giving us with would have been nice to have in Segment 21. This doesn't cost me time now, but it might lead to more selling in Disc 4 which will cost a little time then. Antlion will die to one successful Limit Glove, but Quina leaves our party until the fight starts meaning s/he is healed to full. Because of this, I either had to kill off Quina and hope a Phoenix Down revives with 1 HP or have Sandstorm do the same thing. This is the only fight in the run where a quicker enemy ATB is actually preferable. With that out of the way, the dancing begins! A new weapon shop is open to us which provides a much needed weapon upgrade for Freya and three Chain Mails that will be used for synthesis later and borrowed temporarily for the upcoming battles. With my mistake in Segment 19, I had to take the Yellow Scarf off of Quina to give to Freya so she can learn Man Eater and kill the invaders in one hit. Zidane gets optimized to be a powerhouse once more and Vivi finally gets his equipment optimized so he can be of use here as well. On the way out of Cleyra I grab the second of three Gysahl Greens in the run but avoid the 900 gil in the chest. Up until this point I have avoided going out of my way to pick up gil, meaning around 3000 less gil from the old world record route. Add on top of this the roughly 3000 gil I lost from not having Millionaire equipped and Im quite a ways behind. We will find out just how difficult this will be to overcome in Pandamonium. But this segment has plenty to worry about besides gil. Quina needs to die for an upcoming fight, and everyone else needs the extra experience so I kill him/her ASAP. The previous record for this segment included 12 attacks from the enemies in all of the battles, so getting only six hits in eight battles was a very welcome surprise. With that incredible luck I saved 29 seconds despite the additional equipping I had to do. This fight with Beatrix is identical to the first battle; Quina revives with 1 HP and finishes the fight in one hit while Zidane steals. This time I needed to steal the Ice Brand which is far rarer so the segment took a lot more resets than the first Beatrix, but getting the sword now saves almost 20 seconds later. Getting through the cage mini game consistently takes a bit of practice, and looking back I may have been able to do it about 3 seconds faster, but that isn't the most challenging part of the segment. Skipping the two Alexandrian Guards relies on them having a good starting placement and doing what I want them to. They turn rather slowly so if they are spaced out enough and hugging the bottom rail you can go up and around both of them to not get in to wasteful battles. This does leave Steiner very fragile for the next segment, but that wont last. Getting the Ice Brand from Beatrix earlier means we dont have to wait for the platform to take us to the treasure, meaning I can go right to the boss. Zorn and Thorn are rather simple as long as their starting ATB is bad. If Thorn gives Zorn meteor power too early, it is better to melee him once with vivi to knock the power out of him to prevent the long casting animation, but that didn't have to happen here. Finally I get to fight a boss without any gimmick to it. Beatrix 3 has 5709 HP and Steiner is our main damage doer at this point so having him with a high starting ATB is a must. He and Vivi are both extremely fragile at this point meaning they can't survive most of Beatrix's attacks. But thankfully there is no AP gained after any of her battles so if they die at the end of the fight there is no real loss. Bandersnatches are not too dangerous due to Freya being at high level, but they can't be killed in one hit without a critical or use of Seiken magic. Steiner is still at level 2 so a priority here is to make sure he doesn't get killed, which is harder than it seems. After that, limiting the amount of attacks the enemy gets in, like the Cleyra invasion, is key to getting through this segment quickly. The final major thing to keep track of is that by the end of this segment, Zidane must be level 13. If necessary, I would have killed off Dagger to funnel more experience to Zidane, but since I gave him every possible experience point by killing Vivi and Quina in Disc 1, I didn't need to do it again here. The Ralvuimago fight can go faster if Zidane steals the Adaman Vest on the first attempt, Vivi does at least 2920 damage with his two Blizzaras and Zidane does at least 436 damage. Getting all of that to line up proved to be a lot harder than I expected since the most damage Vivi could output was 3120 and the least he could deal was 2640, so there was quite the range. Anything less than 2920 and Zidane was guaranteed not to deal the finishing blow without a critical. Casting a third Blizzara costs an additional 7 seconds, and not having both Vivi and Zidane act before Ralvuimago cost another 6. But after 300 or so attempts and only 1 better battle, I figured this would be worth playing out. Since Dagger is hardly used and summons take way too much time to cast anyways, Ramuh is left behind. It can be tricky to get through Pinnacle Rocks without an encounter but once you make it, the segment is trivial. Picking up the Exploda for Zidane is essential and the Power Belts will become mainstays for most of the game. After skipping a lot of dialogue, the party heads towards Qu's Marsh for the last time. With the Exploda equipped Zidane is able to use the ability Lucky Seven. When his HP ends in 7 this ability will deal 7, 77, 777, or 7777 damage, which is why we need to end segment 24 with Zidane at level 13 - his max HP will be 617. The animation for Lucky Seven is far quicker than Limit Glove albeit less consistent, but since there is no quick way to kill and revive Quina with 1 HP, this is the fastest way to end the battle. Lani always gets the first turn and she always uses a melee attack on Dagger. As long as Zidane doesn't have horrible starting ATB it is pretty hard to lose any time on the fight assuming I could get 7777 on the first attempt, which wasn't easy. After that there are only a few short screens to the save Moogle, but it certainly isn't an easy task to make it there without an encounter. All of the time saved on this segment comes from very precise movements getting to Fossil Roo and with the axe-swinging minigame. It is theoretically possible to make the Armodullahan (pursuing enemy) spin out sooner to end the third screen with the axes, but I have never been able to pull it off in real time, and it saves only two seconds anyways. While it may seem like a simple segment, getting through all of Fossil Roo without encounters is a pain. Practice is the key to getting through this segment quickly as a lot of screens rely on using the analog stick over the D-Pad so the movement can be tricky to get right. Once on the Outer Continent though I made my way as far as I was willing to before saving. Thanks to the Gysahl Greens we picked up in Cleyra, Choco helps us out in getting us the rest of the way to Conde Petie and up to the Black Mage Forest after chasing the Black Mage. Finally I start to pick up gil since and 2700 is worth bending down to pick up. This seemingly innocent segment is the most difficult intentional encounter skip I will face in the run. In a single segment run, it isn't unprecedented to see three encounters on this one screen. Once inside, a quick trip to the store for a Magic Armlet, Headgear, and Magician Cloak and a few dialogue heavy cutscenes are all we have to endure, then it's back to Conde Petie to get married. With Eiko in tow, all that's left is to get to the save point without a battle. The last screen before the save is the not guaranteed to be battle free, so my heart was pounding. I may have lost about 5 seconds in poor movement throughout the segment, but adrenaline will do that. Vivi puts on his shiny new items and Zidane gets set up for the next few segments with Counter and MP Attack being the important parts. Hilgigars is surprisingly fast for a giant ogre and through well over 100 attempts I was only able to get both Vivi and Zidane to attack first twice, so I expected him to get a turn in the battle. Knowing he would get a turn, I didn't need to worry about fast starting ATB, just Lucky Seven doing the right amount of damage. He has a touch over 8000 HP so Vivi helps us out with a Blizzara. For the next few segments, enemies can be defeated by using healing items, the fastest and most reliable of which being an Elixer. Up until this point I hadn't got any to drop from bosses, but thankfully Hilgigars played nice and gave me one here. It wasn't worth reseting until I got one, but it was a pleasant surprise. After trying to get through Madain Sari as quickly as possible (which like Treno has very awkward angles - especially the dining room), I went without saving until near the Iifa Tree. Saving on the world map costs 16.5 seconds, so skipping as many of those saves as possible really helps out. The Iifa Tree has one of the highest encounter rates in the game, meaning I had to take a random battle here. I have never seen anyone make it through the final screen without a battle (without emulator tools), so it isn't worth resetting over. With the Dagger equipped, I just wanted Zidane to have a high starting ATB in the battle I have to take. I wish I could have gotten my turn off before the Stroper, but he did his fastest move and it missed, so it was good enough. I tried for a few hours to get a faster time but never could. Only reason I lost time on this segment compared to the WR is because of where I saved in the previous segment. With that in mind, I actually saved about 6 seconds over the previous record in just the parts that overlapped. There is a lot of planning that had to go in to this segment and a few ideas that had to be scrapped. I initially wanted to get through this whole thing with the Dagger equipped on Zidane, but the forced encounter with the Zombies made that nearly impossible. Again I take an unavoidable encounter in the fourth screen of the Iifa Tree, and again I wish I had gotten in a turn before the Dracozombie. I also would have preferred he hit and killed Dagger or Vivi instead of Zidane, but it wasn't too bad. Equipping the Exploda again helps with the next fight and curing Zidane to full HP is necessary because he must end the segment with his HP ending in 7; his upcoming level-ups would make it near impossible to do that if I didn't do it before descending the tree further. Since the Zombies, Dracozombies, and Soulcage are all undead, they are damaged by healing items. That being the case, one hit from Life or an Elixir will take them out. The first battle will have either two or three Zombies, but we need a specific amount of EXP on Zidane to get him to level 15 so there is some killing that needs to take place. If the battle is with two Zombies, Vivi and Dagger need to die. You may think it would be faster to get two Zombies and kill off Vivi and Dagger, but it isn't because of Vivi's recent level gains. With three Zombies, Dagger kills herself (or gets killed by them as happens here) while Eiko and Zidane kill the enemies. If there were two Zombies, Dagger would kill herself, Zidane would kill Vivi, and Eiko would kill both Zombies, so the same amount of turns. Depending on how many Elixirs have dropped, the Dracozombie can be taken out with Life or an Elixir. Since I only had one drop (and since Soulcage is far more dangerous), I needed to use Life. Eiko had a perfect starting ATB so that wasn't an issue. For Soulcage himself, he always opens with Level 5 Death. This problem is two-fold; first being that it takes forever, but the second being that Zidane is Level 15, and he needs to maintain that 7 at the end of his health. So with the remaining Elixir, it's a race between Soulcage and all remaining party members for the first turn, which is why its also nice to get three Zombies in the first battle so we have more chances to get the Elixir off. Sadly I forgot where the Elixir was in my inventory so I fumbled with it, but it wasn't too bad. All in all, I think with perfect circumstances, I could have saved another 15-25 seconds here. But the odds of all of that lining up are next to none, and if I attempted this segment for another 5 hours (which is how long it took to get this one), I may have been able to save 10 seconds. I'll leave that time there for whoever wants to beat this segment in the future. This segment combines three segments from the old world record in to one. Getting through the Mountain Path without encounters isn't bad enough to warrant multiple outdoor saves (the two saves I skipped saved 35 seconds alone) so it makes sense to do this in one go. Once inside Madain Sari, I pick up the Survival Vest and equip it on Zidane to set his defense to 21. Because of the way the damage is calculated in the game Amarant will always deal a multiple of 10 for his damage, and since we kept Zidane at 617 health in the last segment, we don't have to worry about getting Lucky Seven off before Amarant's attack. While it is possible to move first, it isn't necessary because the optimal fight includes Amarant attacking and Zidane Counterattacking, followed by a 7777 since Amarant has 8985 health. After a lot of dialogue and a cutscene, Amarant joins the party and everyone heads for the Iifa tree. It seemed as though there was a 50% chance of getting through the Mountain Path without an encounter based on all my attempts, so the nerves got the best of me on the final screen and I hugged the wall a bit too much. Thankfully I made it through on my first successful Amarant fight, so I'll take it. If anyone is comparing this segment to the old world record, keep in mind that my Segment 33 includes the old Segments 36-38. You would think that since the mist has dissipated the encounter rate would be lower... right? Not even a little bit. Getting past the first four screens of the Iifa Tree's roots is just as difficult as the first time, and afterwards are two forced encounters with our new friend the Mistodon. After I gave Soulcage an Elixir he was kind enough to give me one in return, and the moogles in Madain Sari gifted me with one before the Amarant fight, meaning I had two to use on the three enemies I had to face. Ideally I would use one Elixir in the first battle and have Eiko use Life to deal with the two Mistodons, but she didn't want to cooperate and I didn't want to risk the Mistodons getting an attack off so I used both Elixirs in the first battle. Obviously I was hoping Eiko would get the first turn in the second forced encounter, but no luck. As you can see, Zidane is a tad too weak to kill the Mistodons in one hit, but he and Amarant can kill one in just about the same time it takes to cast Life. The Mistodon had his own ideas and rammed Zidane, who countered in return, ending the fight. I was willing to take one enemy attack between the two battles, so I shouldn't be disappointed with the outcome, but I still wish it would have been faster. Seeing as how I started 6 seconds further from the Iifa Tree than the world record run did, I was happy to save any time at all. When descending the roots there will be either one or two battles with either one or two Mistodons per battle. Zidane needs to be at level 17 for an upcoming segment, and with careful planning earlier, only one Mistodon worth of experience will do the trick. Since there was only one battle to be fought I figured I should reset until I got a perfect battle. With Eiko's starting ATB being complete instantly the fight is trivial, and only some dialogue and FMVs stand in the way of Disc 3. One of the easiest segments in the run because there isn't a ton to mess up and absolutely no RNG to dictate anything. The only improvement to the segment I can find is to not get rid of my current cards in favor of better ones from Dr. Tot. While it is easier to win the tournament in the next segment with better cards, it certainly isn't faster, so we don't need to bother with that. I could write a book on getting through the Card Tournament as quickly as possible, but when you boil it down, it mostly comes to luck of brick placement, the arrows of the enemies cards, and avoiding as many head to head battles as possible. Since I didn't get rid of my cards in favor of better ones, I am forced to use a lot of small strategies to survive the first two matches. Im convinced Cid cheats with his RNG, but even with that in mind I managed to get through all three fights without having to stop and think. Overall, this was one of my better tournaments. The prize for winning is a Rebirth Ring, which will be essential shortly. After selecting the right Knights to take on the right tasks, Dagger is rewarded with the Angel Earrings. They serve no purpose other than their sale price of 10,000 gil which may or may not come in handy later. After equipping Steiner's new items, it's time to take on the Mistodons. The Mistodon on the first screen can be avoided pretty easily by luring him to the right side of the ticket booth and running around him. The second screen normally has a forced encounter but a trick was discovered to skip the battle entirely. The reason you can skip the battle is because the trigger for the Mistodon to attack sits on the exact same pixel as the exit, so normally a player is holding down on the analog stick or D-Pad and will force the fight. But with lining Steiner up properly and holding left instead of down, I walk along the exit pixels long enough to trigger the exit and not the fight. After that, the goal is to get as few attacks from the Mistodons as possible. It was a shame that Steiner died and cost me a few seconds in the final battle, but the rest of the fights went really well. Because of the really fast card tournament and the mediocre Mistodons my time balanced pretty evenly, so it isn't worth stressing over. That takes care of the difficult stuff, the rest is dialogue skipping and moving swiftly through Lindblum, the hardest part of that being the damn elevator; movement is squiffy in there. Once in control of the Blue Narciss, I need to head near the Black Mage Village to continue the story. I wanted to save a minute in the segment, so even though there are a few mistakes here that if were handled better would save probably 15 seconds, I was perfectly happy with my time, especially since it took five days to get this. Combining two segments again, the party heads to the Black Mage Village to learn about the Desert Palace (and pick up the third and final Gysahl Greens which I could have picked up in Disc 2, but doing it here saves a massive half a second). Before embarking to Oeilvert, Zidane must pick the party. Amarant and Steiner are essential, but the fourth party member can be anyone really besides Quina and Freya. I chose Eiko because her walk to the teleporter is the shortest, and if she isn't picked she leads in the desert Palace, where she has more dialogue than Vivi who will be leading now. Getting to the Hilda Guard 1 is virtually impossible without tool assistance, so I was willing to take one battle. If the fight is against a single Ogre it's faster to kill it than to run, but I was impressed I managed to escape without flee equipped, and one battle is perfect. After landing on the Forgotten Continent I wanted to get a good ways towards the Chocobo tracks before saving, which I did. My time save was smaller than it seems because I took a different route to the Chocobo tracks outside Black Mage Forest saving about 30 seconds last segment and costing me 15 in this one, so overall it was worth it. We mount Choco for the third and final time in this run to skip the vast wasteland between where Zorn and Thorn dropped the party off and Oeilvert. Picking up the Mantra Band is essentia, but nothing else. If you are following along at home and dont want to spend hours to match my run, pick up the Trident for Freya here. I have other plans, however. I wanted to combine this segment with the last, but it took about 20 tries to get to Oeilvert and purchase items quickly, and about 400 tries to get through Oeilvert without encounters, so that would have taken me roughly 8000 resets before I got it. Not worth it for 12 seconds. My movement inside was perfect... except on the fourth airship display and the history of Terra display. Combined it cost me nearly 3 seconds, but I wasn't about to spend another 400 attempts to maybe save 2 seconds. I could have equipped and set abilities in the next segment to get through it a bit quicker, but knowing how many resets are ahead of me, doing it once now instead of several hundred times later will save my sanity. Grabbing the Gaia Gear will help for the upcoming Earth Guardian fight, but then it's right in to Ark. There are a few things to note about Ark in general; he has 20,002 HP, Propeller Wind will cause confusion on the whole party since I dont have Clear Headed on anyone, and he has a Holy Lance that I need. His other three attacks are Boomerang (physical damage to all), Whirlwind (wind damage to all) and Photon (reduces HP of one party member to 1). Getting the Holy Lance is the hardest part of the boss, being a 1 in 16 chance assuming Zidane doesn't miss altogether. Steiner can survive two attacks from Boomerang and Whirlwind, Zidane can sometimes survive two, and Amarant never survives two. Because of this, I wanted Amarant to get a turn before Ark so he could throw his two items, and I tossed a Hi-Potion to Zidane to increase his chance of survival, or at least I would have if Eiko didn't die. Normally I would reset after three failed steals because Steiner needs to attack at least three times and most likely four with the two throws and a successful Lucky Seven for Ark to die. I kept going on this one because Steiner got two counterattacks in and crit his last one doing just enough damage to defeat Ark... if he hadn't crit his last attack I most likely would have died. Once the fight is done, its time for a very annoying mini-game. The Hedgehog Pie game is simple but easy to waste time on. Normally he either turns slowly or very quickly. Getting all the way to the key right away is extremely tough because of how fast he can turn and ruin everything. However, if you get caught five times though he will no longer turn around quickly making the game much easier and safer, and since the probability of getting through Ark was so incredibly low already the safer strat is the way to go. I was assuming since my Ark strategy was so much slower that I would lose time on this segment, and was willing to give up as much as 15 seconds, so I was floored when I saved time, mostly on Hedgehog Pie. Getting the Holy Lance, although slowing down the Ark fight, should save me time on Meltigemini, but also saves me 14,000 gil - 3000 for not buying the Trident and 11,000 for not having to buy the Holy Lance later. We will see if it actually pays off or not. A very simple segment but very frustrating at the same time. Getting through Desert Palace without encounters isn't very easy, and doing it without wasting too much time is even harder. I decided to do my equipping in this segment instead of the next to save some stress on the next segment, although it meant losing time on this segment. Because I picked up the Holy Lance instead of the Trident that meant Freya would do holy elemental damage on Valia Pira with her attack and not physical, so I picked up the first Bloodstone to deactivate the elemental damage immunity. If you are following along and would rather pick up the Trident, you would get the Bloodstone in the hallway after the room with all the candles to deactivate it's physical immunity. Neither is faster than the other; I forgot I had to get the correct bloodstone before finishing this segment, and I ended both routes with the exact same segment time. The Valia Pira fight is very straight forward; it dies with two attacks from Freya and a Limit Glove. Quina has the rebirth ring so s/he dies as soon as possible to be reborn with 1 HP while Valia Pira hopefully picks on Vivi or Dagger. It is possible to kill Valia Pira with it only getting one turn, but it saves maybe 5 seconds and was a pretty rare occurrence. Since most of the possible time save comes from afterwards, it wasn't important to me to perfect the battle. Low hanging fruit for whoever wants to best my time I guess. Getting to Kuja's room from the Hilda Garde 1 dock is tricky and almost always means one random encounter, if not more. A battle with a single Ogre can be ended by killing it almost as quickly as using flee. Since we still don't have flee learned its definitely faster to kill it than go in to the menu to equip the dagger. Incredibly on the way out of the palace I was able to get through the screen without an encounter, something I have never seen done before and wasn't even thinking was possible in a real game. Not getting in to any fights saves about 40 seconds, so naturally this is one of the time saves I am most proud of. Esto Gaza brings a new equipment shop which means a new weapon for Zidane, Steiner, Vivi and eventually Amarant along with some other items. You may notice I ended with 255g left over, which was entirely by accident. I had actually planned on selling items here to afford everything I needed but I just scraped by. The old route took Amarant instead of Freya and had to purchase yet another weapon upgrade for Freya that I didn't need since I have the Holy Lance, so saving that 4,700 gil will bring our saved gil total from to 18,700 thanks to the Holy Lance. I mistakenly bought the Scissor Fangs however, not realizing that Amarant wont do a single attack until he has a better weapon anyways. The 8000 gil isn't a huge issue, but it would have been better not to buy it. If you are using Amarant at this point go ahead and get the Scissor Fangs, but if you got the Holy Lance and have Freya, skip them. Since Meltigemini coming up is weak to Holy, it was nice to keep the Angel Earrings to boost holy damage for Freya as well. This segment was slower than the old record because I decided to equip here instead of in the next segment which is already hard enough, and this is one of the most involved menus in the run. That time will be made up in the next segment though, so it isn't really a loss. Its faster to take Vivi instead of the logical Amarant/Steiner/Freya party because he leaves following the Red Dragon fight and Eiko is forced in. If you don't have Vivi already in your party, you have to go through another character select screen to put Eiko in. Vivi is also capable of dealing massive damage to the Red Dragons, so he isn't without use. The Red Dragon fight can be tricky for a few reasons. Their speed is incredible and its really hard to kill one before it attacks, of which they have three; Twister which will usually kill the whole party except Vivi, Arial Slash which will usually kill Freya, and Dive, which will only kill Vivi. If one dragon gets killed before it attacks, it isn't too difficult to kill the other quickly unless it uses Twister. I got extremely lucky with Zidane's critical attack meaning the first dragon died before it got a turn. Getting Freya to critical as well was a pleasant surprise. Everyone gets a full heal after the battle, but this is one of the last times that I will get free experience so it makes sense to get a run where everyone lives. I would have preferred the second Red Dragon use Dive to kill Vivi instead of missing Steiner, but I wont complain. The main goal of these two fights other than surviving them is to make sure Steiner learns Charge from the Coral Sword. If he doesn't die in any of the Mistodon fights he will get to this part with 27 of the 30 AP needed, and the Red Dragons combine for 3 AP. If you are following at home and Steiner does not have 27/30 AP, he absolutely needs to survive the next fight without getting Virus... you may want to buy a Vaccine in Esto Gaza. After a whole lot of dialogue and a battle in which you dont participate, it's time to take on Meltigemini. Here you can see why I wanted the Holy Lance; Freya deals nearly 9999 damage on each attack, and with the boss having 24,348 HP, that means only two full turns of attacks to bring him down. I was incredibly happy to get the best possible starting ATB for Zidane, Steiner, and Freya, meaning the boss only got in one attack. As long as he doesn't single target Freya with Bio the fight was won. I could have saved a second or two by letting Freya attack first instead of giving Zidane an attack, but whatever. If I could get the exact battle every time, it would be fastest to switch Steiner to the Flame Sabre and then let Freya attack first in the second round, but that's for the TAS community to pull off. Taharka is pretty simple if you are willing to reset a lot since he is susceptible to Heat. I really, really wanted to steal the Orichalcon, but doing so and doing it quickly is not an easy feat. The old record took exactly 5 seconds to kill the boss, I did it in 15, and Im happy enough with that. The Orichalcon is a 1 in 16 chance to steal assuming I don't miss, and inflicting Heat is allegedly a 1 in 10 chance, although it took over 3 hours to see my first infliction of it. Using that math, it would take an average of over 160 attempts to steal the Orichalcon on the first try and inflict Heat on the first try. Add on to that the fact that getting through Ipsen's without an encounter both ways is about a 20% chance, so you're looking at one successful attempt every 800 tries. Might as well throw in that its a 1 in 3 chance to get both Steiner and Zidane getting a faster ATB than Taharka and you're looking at one successful attempt every 2400 resets... roughly 80 hours of attempts. Long story short, Im happy enough with this. I may have been able to get the Orichalcon which would save me 17,000 gil and one turn on the Earth Guardian, but the cost of getting it (besides my sanity) means it would have saved me maybe 10 seconds. But despite my slower battle, sloppy movement, and added equipping for Steiner in this segment as opposed to the previous, I still saved 21 seconds over the old record by avoiding a random encounter on the way out. I feel like I may have been able to save more time here, but not enough to warrant me sticking around on this segment. A simple segment, yet a little too annoying to combine with the one before or after it. After getting back Amarant, we need to drop off the groups at each of the four shrine locations. Making your party consist of Zidane, Steiner, Vivi, and Quina reduces the amount of times you have to see the character select screen. Other than that, flying to the right location without getting lost is the only difficult part of this segment. I was a bit complacent with my segments in the beginning of this run because I wanted to get going to the big time saves, and I have started to get complacent again as I near the end. I think if I were to do this again, I would have actually combined the past segment with this one, because Earth Guardian isn't too difficult, so I could have saved 20 seconds. I chose not to however, which meant I needed a perfect fight to make up for that time loss a bit. Earth Guardian is pretty simple, as you would expect from a fight with only 2 party members. Had I stolen the Orichalcon it would have taken one Limit Glove, two melee attacks and an Eat to end the battle. Even here I got the maximum possible damage out of Zidane's first two hits, but it still put me 384 damage away from being able to eat him. All this means is one more attack from the Earth Guardian before the fight could end. While I needed Zidane to go first, I needed the Earth Guardian to kill Quina before his/her first turn because of the fact that Zidane can only survive two hits. Once Quina gets damaged on the first hit (either Earthquake which heals Zidane or a direct target Aga spell) I needed the Earth Guardian to only pick on Zidane afterwards so Quina could do one Limit Glove and one Eat. I didn't need Zidane to live because he had no abilities that still needed AP to learn, at least ones that mattered. Remember way back in segment 13 when I put the Dagger back on Zidane for Gizamaulke so he could put that AP towards Flee? That made this segment a thousand times easier since Zidane was able to learn Flee on Taharka because of it. I fiddled around with the party screen in Terra because I was watching some random youtube video and was just mashing buttons. After six hours of attempts to get through all of Terra without an encounter, it got a little boring, and I was on auto-pilot, and of course it was the attempt I finally made it. It only cost a second and a half though, but caused me to pay extremely close attention and nail the rest of the movement throughout, so it wasn't worth going back for. As long as everyone is set up properly from the past few segments the only equipment change we need is to take the Rebirth Ring off of Quina. After grabbing a second pair of Angel Earrings and a Wing Edge, the segment finally ends. This is one of my favorite segments because of how much planning secretly goes in to this... at least it would be if it weren't for the 5 minutes of dialogue that I have to suffer through in each and every reset. Finally we get the Orichalcon, but the 17,000 gil price tag is steep, more on that in the next segment though. When we get in control of Zidane I equip it and put on Antibody, which probably wasn't necessary but saved me a lot of resets. After a lot of talking with Garland, it's time for three scripted battles, each with their own patterns. Firstly is Amdusias with 5463 health. His first two attacks are scripted, firstly is Bio (which wont cause poison thanks to Antibody) that will thankfully never kill Zidane because of his level. Right after that, he lifts off and Freya joins the fight. From here, you have to deal the 5463 damage to bring in Amarant, and there are two ways to do this. First is to have Freya attack because she has the awesome Holy Lance, and she will normally kill it with an attack unless really unlucky. The second way to kill him is with an attack from Zidane who is in Trance. You may not have noticed his Trance bar during the run, but I have been keeping an eye on it. Because of how many battles you face, Zidane will almost always Trance at some point in the run, unless you get ungodly lucky. Normally a Trance wastes time because of its animation, but here we actually need the Amdusias to get a second turn in the first phase, so there is absolutely no time loss because of it. This means that Zidane has a full ATB for phase 2 with him and Freya, and Freya will usually have a full ATB or close to it in Phase 3 with herself, Zidane, and Amarant. If you are following along and dont quite have a Trance ready at this point, it will save some time in the Shell Dragon fight, but not as much. The second fight with the Abadon gets a bit trickier, but is still rather scripted. After he does two attacks and fills his ATB for his third attack, Zidane appears and the enemy ATB resets. Obviously Quina doesn't need experience so I am happy to let him/her be dead, but the other two can use the experience, so keeping them alive is beneficial. Abadon has 10926 HP, and while it is possible to kill him with two hits from Steiner and one from Zidane, its far easier to kill him with two hits from Zidane and one from Steiner. I was hoping for a fight where both Steiner and Zidane did an attack before he got a turn in, but him using a melee attack on Zidane and having him both survive and counter is just as fast. Lastly is the Shell Dragon, the most annoying of the three. Dagger comes out when Zidane is at critical HP or you deal 10,921 damage. His Smash move puts Zidane at 1 HP, so having that be cast is the fastest way to end the first phase. Unfortunately for me, he doesn't like using it too often, so there were two wasted turns. It isn't worth it to attack him since it takes four turns to kill him, and I wasn't willing to let more than three turns go by before phase 2 since it takes so long. I wish he used Smash sooner, but oh well. After Dagger comes out, the Shell Dragon is healed to full (just like the other two during phase changes) and just needs to be killed. If Zidane has been kept alive in the past two fights, four of his attacks will do enough damage, but not by much. I was hoping Dagger would do at least 200 with her attack to help that along, but no dice there. It didn't waste time however, and although a counterattack before the killing blow would have been helpful, this was the fastest I could get through the segment anyways. Our final shopping trip, but for the first time in the run, I don't have enough money. If I had gotten the Orichalcon I wouldn't have needed to sell a few things to afford the items, but oh well. Picking up a new weapon for Steiner and Amarant who desperately need them and two Coronets to help survive the Silver Dragon and Nova Dragon. I probably didn't need to sell my Phoenix Pinions to trade them for Phoenix Downs since 22 combined reviving items should have been enough, but I would hate to get to Necron with less than what I needed and have to redo all of Disc 4 because of it. I timed it out and it literally only took 1 second longer to buy the Phoenix Downs. Right after the most involved buying menu is the most involved equipping menu. Amarant and Zidane get some wind immunity with the Coronets for the two upcoming Dragons, Amarant and Steiner get their new weapons, Steiner gets wind and water absorption and donates the Shield Armor to Freya since I only picked up one in the run. Everyone gets their abilities set for the remainder of the run pretty much and Freya finally takes her place in the front row. The time difference between this segment and the record's comes from doing the equipping here instead of in the next one. Silver Dragon only has 24,055 HP which means five hits will kill him. Sadly, his speed is off the charts, meaning he can attack twice in a full cycle of turns, so I was willing to let him get two attacks in. Aerial Slash is his second fastest attack and actually a beneficial one since it put Freya in critical HP. Had Freya gotten her turn off before the Silver Dragon's first the fight would have been over a tiny bit sooner, but not a whole lot. Garland is a lot simpler, although equally as fast. He can only do single target spells, and the only real issue is if he casts Stop in the first turn because it slows down the battle too much. Again he got the first attack, but he only got in two total because I did just enough damage to end the fight thanks to Charge. Charge sends everyone who is in critical HP to do a melee attack that does not rely on the ATB, so you trade in Steiners hit for up to four total hits. Thanks to the Silver Dragon, this made it possible to kill Garland so fast. Kuja, like the previous two, is blisteringly fast, but also usually does single target spells. He can use Flare Star, but its rare. Zidane was low on MP thanks to the Shell Dragon fight, but it wasn't a huge issue since Kuja was still finished after two attacks as well. Overall, getting only 6 turns from the bosses in this segment is incredible. Nova Dragon is an odd fight in that there really isn't a fast way to to beat him. Like the rest of the remaining bosses his speed is incredible and its hard to get off many attacks before his first, and he usually casts Shockwave which is an instant reset. I needed to do at least nine to ten attacks depending on which ones they are to finish the battle, so technically it is possible to only allow the Nova Dragon to get two turns. This was the only time I was able to get off two turns before his first, but sadly he countered Zidane to death, which he very much likes to do. Amarant uses Wing Edges and Vivi uses Blizzaga because neither will let the Nova Dragon counter attack. My hope was to allow three attacks and one counter, but my goal was to finish no longer than ten seconds slower than the previous record because that segment was nearly perfect (three attacks, one counter from Nova) but it actually helps me a tiny bit to have Zidane and Steiner dead because I can start to use Charge sooner. I skip Kain's Lance even though it has a higher attack than the Holy Lance because I can modify the Holy Lance's damage more with different equipment making it stronger. I do pick up the Tower and get in to a random encounter before Maliris though. It is technically possible to get through the Tower screen without a battle, but to do that and get a good Maliris fight would take days. Since Zidane starts the fight dead I cant flee instantly, and knowing that I figure I might as well get everyone's HP to critical. I shouldn't have wasted time killing Amarant since Helm Divide did the job for me, but I wasn't thinking. On attempts where I made it to the Tower before a battle I would revive everyone instantly to flee quickly and attempt Maliris without everyone being critical, but that never resulted in a solid segment. Getting to Tiamat without a battle is incredibly hard considering how short of a distance that needs to be traversed. Picking up the much needed Rune Claws for Amarant finally puts him on an equal footing for the rest of the run. I also give him the Chain Plate so he can finally learn Devil Killer; most of the remaining bosses are effected by it. I messed up the menu because I kept forgetting that when switching to the abilities tab the cursor hovers over Ability instead of Equip in the main menu, so I hit up twice to get to Item instead of the necessary once. Everyone gets revived and Ethers get passed out to those in need, then it's time to fight. Tiamat has the most health of any of any enemy in the game besides Quale at a massive 59,494. He has a wide list of moves too: Absorb Strength/MP/Magic (worst to best), he can cast Float which will cause him to Snort kicking the floated character out of battle, Jet Fire which is an instant reset, Twister which kills Freya and bring Steiner out of critical because he absorbs it, and of course his melee attack Silent Claw. The only hard part of the battle is getting enough attacks on before he decides he wants to use Jet Fire, and it takes an awful lot of hits. This run was extremely sloppy since I should have waited to see who he used Float on before attacking since it wasted time with an extra casting animation. After I disappointingly lost Zidane, even though it wasn't detrimental, I forgot to have Freya and Amarant attack after the charge figuring it would be enough damage without it, so Tiamat got yet another turn off. Despite all this, I still saved a bunch of time and could never get a better segment, even with cleaner menus and battles. I think the difference really came down to Zidane's critical hit. Just a trip through Memoria on the way to Kraken. I have never seen anyone get through the last screen without an encounter outside of a TAS, so I wasn't going to play until I did it. All I wanted was an encounter where Zidane immediately gets the chance to Flee which I got. I handed out Ethers in this segment instead of the next which is where the time gain comes from. Again, it will pay off in the next segment. Kraken is an extremely challenging boss to take on in the segmented category because we just dont have the luxury of getting equipment to make it easier. It would be nice to reduce water damage by 100% and get Body Temp on everyone, but its possible to get through without. Kraken's tentacles must be dealt with before the boss can die, since he counters every attack besides Charge. When his tentacles are alive he will cast Freeze or Waterga, with Waterga being an instant reset. While Freeze can miss, I certainly don't rely on that, so I wanted to get two attacks in before Kraken gets one so I can kill one of the tentacles. Every boss has high evade in Disc 4 so missing is a common occurrence. Charge will randomly target any of the possible enemies on the screen, so even though I missed I was lucky enough to hit Kraken on all four attacks instead of them hitting the living tentacle since for whatever reason they cant be defeated with Charge. Much like Tiamat I could have ended the fight one turn sooner and kept everyone at critical hit had I risked it and had Freya do a melee attack. The extra button pushes in the menu wont cost me more than a second though, and even though Waterga wasted about ten seconds, I still did the fight 18 seconds faster than the old record and 34 seconds faster than my only other decent attempt. Lich is a pretty simple boss if you have the time to plan accordingly by getting your characters at a level not divisible by five and putting on earth absorbing equipment, but I don't have that luxury. Zidane is level 30, Steiner is 25, and Amarant is 20, meaning if Lich uses Level 5 Death, it's a reset. Also Earthquake/Earth Shake which have no difference to me mean instant reset, as does Stop, Venom Powder, and Death on Freya or Steiner. Lich has a nice weakness to Holy Damage so Freya shines here, doing almost max damage on her hits. It only takes two cycles of attacks to end the fight because of the damage output, and I was happy to save any time at all on this segment. Essentia did an incredible job on Disc 4, and there really isn't a whole lot of time to save until Necron. One final segment to avoid encounters, and it is awful. Moving around the Crystal World is harder than it looks because there are some sharp turns that are hard to see due to the camera angles. Wasting steps running in to walls just makes it harder to get through the already tough screens, so this took a long time and a lot of practice to get through. Again I did the menu section here instead of the next segment to save on resets, of which there will be many. I wasn't at all worried about making it to Excalibur II and my in game time of 7:55:38 after killing Lich is the lowest in game time ever seen (as far as anyone knows) to pick up Excalibur II without skipping the FMVs. The one benefit to Kraken healing Steiner to full for me is that I was able to fully heal everyone with my three remaining Elixers reducing my button pressing. Deathguise has very few moves to deal with, but the problem is that two out of the three moves are terrible. The first of which is Meteor, which he opens every single fight with. Meteor is a spell that has extremely low base damage at 80 and an enormous modifier, meaning the spell can deal anywhere from 80 to about 4800 damage. Normally it will kill all of my characters and it's a reset, but all I need is a section where two characters survive it to get a solid attempt in. Here I got Freya and Steiner to live and Zidane came back with auto-life, which is fantastic. The second problem with the fight is that Deathguise likes to use Spin, which will deal about 2000 damage to everyone, meaning a game over. I need him to do Demon's Claw which is a single target attack that Freya and Steiner can usually evade, and I need him to use it three times in a row. From there, the rest is improvisation. Steiner will deal the most damage but if two characters are in critical HP their two attacks from Charge will deal more than Steiner's one. I messed up a tiny bit having Steiner use a Phoenix Down to pick up Zidane instead of Amarant like I intended, but it didn't cost me an attack cycle from Deathguise so it technically saved me time on that casting animation of Charge, and left Steiner with a good amount of MP for Kuja. One last menu section before the final push: Zidane takes off the Rebirth Ring and Steiner takes off the Ribbon, both are for the Necron battle purposes. Steiner also puts on the Mythril Helm for the boost to Holy damage which the Excalibur II deals. I probably should have put it on for Deathguise, but the extra damage wouldn't have helped that fight as much as it is needed here. Kuja has 55,536 health and will start to counter with Flare Star after half of his health is gone. Like always, Charge cannot be countered, so using this knowledge Kuja drops pretty fast. Everyone gets fully healed, and because I did all of my necessary equips before Kuja I skip the menu section. Necron is a very bizarre fight that makes no sense unless you dig in to the bosses code. All you need to know is that I needed a fight where I got in one attack before most of the party died, Freya needs to select "Jump" four seconds after Blue Shockwave is cast, everyone else has to be dead while she is in the air, and I couldn't miss any attacks. It was not random that he cast Blue Shockwave so many times in the row, that's part of the messed up code. There is no clock to look at for the ending time, but I know give or take a second based on when the music fades out from the title screen. My original goal was to get under 8 hours and 15 minutes and I was very happy to smash that goal. I honestly think its possible to get this under 8 hours with some more patience on a few random battle screens that I allowed a fight, some better boss battles, and combining a few segments. On the other hand, I had a few segments that I don't think could realistically have been any better, such as my Segment 2, 21, and 45. Getting everything to line up so perfectly to save enough time to cut this under 8 hours would take at least a year of attempts to achieve. Unless there are some major skips discovered, I think my record just may be safe for another 8 years, but I would love to be proved wrong. Way back in 2007 on SDA a couple people tried to route Final Fantasy IX to see if it would be possible to speed run. One user, EssentiaFour, did a segmented run of the game shooting for the lowest in game time setting a time of 8:32:40 that was considered unbeatable. While a few small saves have been found over the years, they only amounted to roughly three minutes shaved off, so no one had put in the time required to improve the time. Until now, at least. I realized over the summer while following along in a casual playthrough that I could clean up some small mistakes in almost every one of the segments and maybe save a few minutes overall so I decided to take on the task. Over the last three months I have been chipping away at the game fighting against the RNG to shave as many frames as I thought possible and two days ago dealt the last hit on Necron. Note: The time on the StatID says something different. Single-segment: 9:05:45 by Tristan Helwig. Yeah, I finally decided to submit a single segment Final Fantasy run. This run is certainly improveable, but there are no incredibly huge mistakes that prevent me from submitting it. All other FF9 speedrunners, especially Tomatio, whose route/strats I used for this run.